Wish You Were Here. Back in 1975 when this was released I wasn’t interested, it’s hard to know exactly when I did listen to this, so there’s not a lot of historical placement or feelings of presence that I can add. This is the 9th Studio Album from Pink Floyd. 5 Tracks, 44:38 minutes long, it’s not something you could get bored of. I have this on vinyl and I have the original postcard that came with it. I’ve played this a few times on the vinyl player in the last two years and it is always pleasing and always played at the loud end of the dial. For me this a less jarring, less jangle and disjointed album of music that seems to fit well together and weaves it’s own story, and of course their concept story and my take-away are at variance, because who reads about that and thinks its a good idea of theirs. So lyrically whilst this has meaning for the band there are a lot of personal insights that this offers up. This followed on from Dark Side of the the Moon, and was followed by Animals, which is also very good. I think though for me this is the pick. The first album I brought was The Wall, which I still have and I’m not sure if it’s good or not to be honest. Like beer music is quite subjective. 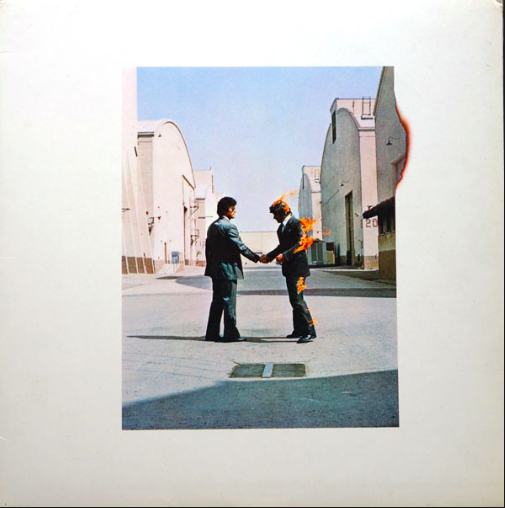 Pink Floyd – Wish you were here, is on my list, because it is a beautifully crafted music journey. Well it’s a Behemoth Freedom Juice. A double IPA, and 8% ABV beer of 70 IBU things and about 240 calories a serve size. juicy is best used to describe this aroma, and you’ll note a different container, because I was too lazy to wash the trusty clear glass bottle this morning, and a man has to have a standby. This is a hazy beer, and I like hazy beer, although MrsPdubyah is uncomplimentary. You’ll note also that I can’t pour from the standby growler, I need to practice more. That’s malty sweet and hop bitter in a wonderful combination of taste and balance. The bitterness keeps you interested and reminds you that this is a big hitting beer in terms of content and alcohol, the finish in this creeps up and sits there a dull thud at the back. 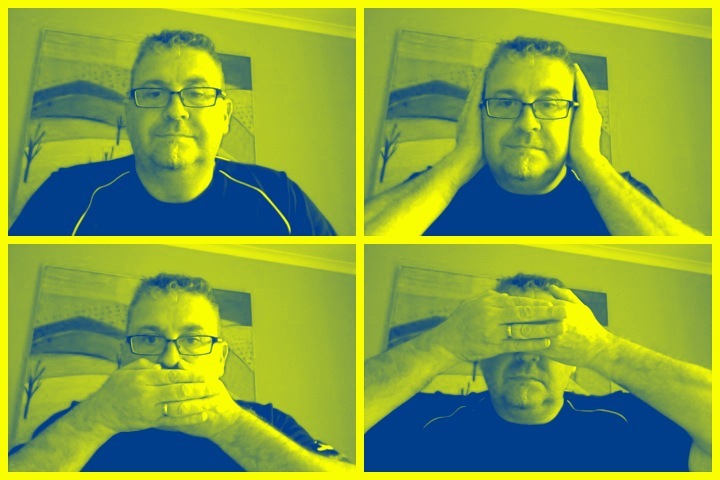 Welcome to the Machine and cry Freedom!!!!!! Should I have had the Pdubyah-O-meter out this would have been a cheeky 9 with giant smile. Agreed that this is the best Pink Floyd album from that era. Now, I need to go back and listen to it. Sadly, I no longer have anything on vinyl. 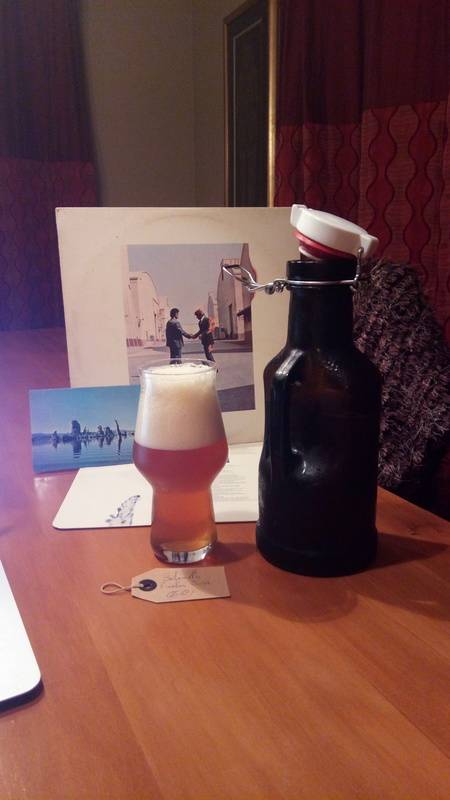 This entry was posted on May 5, 2018 by Philip Walter in Beer, Beer of New Zealand, Behemoth, Craft Beer, Frippery, Imperial/Double IPA, Instant Gratification, Justsaying, Nostalgia, Simple Life, Singing on the bus, Vinyl and tagged Album Challenge, Classic Albums, Pink Floyd.